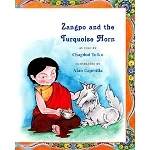 This wonderful picture book for children and adults alike introduces the powerful practice of mindfulness in a fun and exciting way. 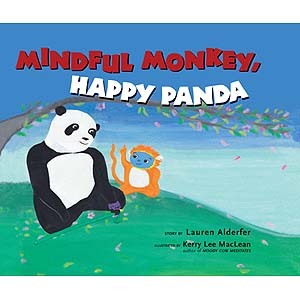 With the delightful characters Monkey and his serene friend Happy Panda guiding readers to a calmer and more attentive mind, this whimsical yet universal and warm presentation will delight all readers. As our story begins, Monkey is not so mindful—his Monkey Mind constantly jumping from one thing to another—but he encounters a mysterious and playful friend in Happy Panda. Panda helps Monkey recognize the simple joy of doing what you’re doing while you’re doing it. 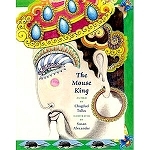 Hardcover, 2011 edition, 32 pages.